- Deer Tick with Future Clouds and Radar and Anni Rossi at Empty Bottle - 10 p.m., $10, 21 and over. More info and tickets. 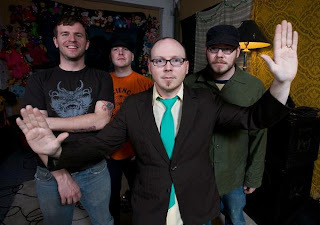 - Smoking Popes with The Dials and Helicopters at Cubby Bear - 9 p.m., $14, 21 and over. More info and tickets. - Mahjongg with TomTomTomBoy at Hideout - $10, 21 and over. More info and tickets. - New Bomb Turks with Mannequin Men at Cobra Lounge - 10 p.m., 21 and over. More info. - The O's with Nathan Xander and Adam Faucett at Darkroom - 7 p.m., $7, 21 and over. More info and tickets.